today’s free for all challenge at splitcoaststampers was easy enough, that i had time to play. you have to use at least two of something, so i watercoloured the peas, used two die cuts, two rows of twine, and a double bow. thanks for popping by. Are You A Silly Heart? Oh this is lovely. 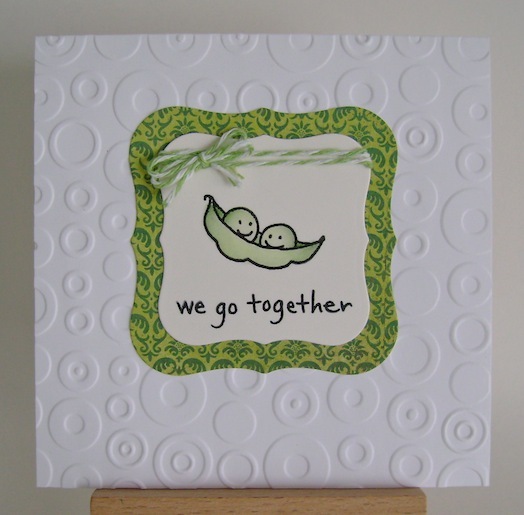 Great image and I love the way the background embossing is circular too (a bit pea-like!). Now how cute is this? Love it Linda!